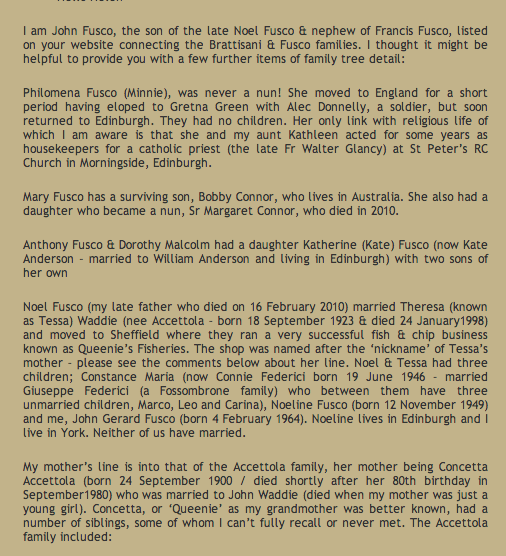 We have had correspondence from John Fusco, son of Noel Fusco, grandson of John Fusco and Maria Brattesani. 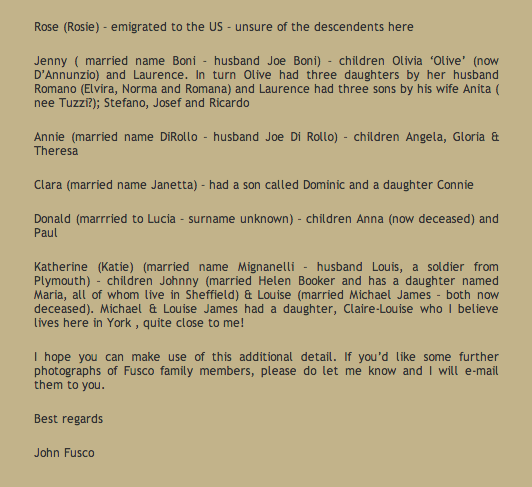 Thank you John for your input to the family website. 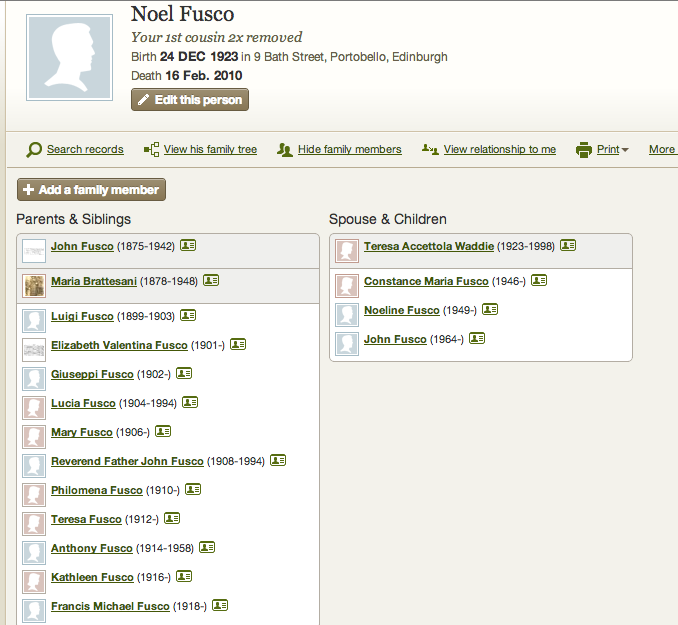 I will now try and fix out all the errors.